Coventry. How you’ve changed over the years but somehow managed to keep your charm and alternative vibe. I love walking the street and popping in all the shops and, when needed, partaking of a fine beverage at any of the several dining establishments. 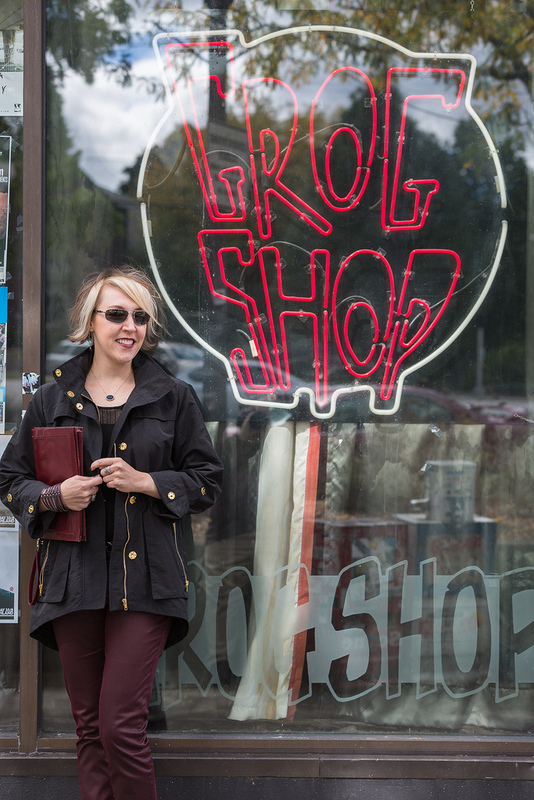 Recently I’ve attend a slew of concerts and one of my favorite venues is the Grog Shop; the intimate nature of the venue makes you feel like you’re the only one the band is there to play for, just awesome! Along the street you’ll never suffer from a shortage of fantastic people watching, that’s for sure. 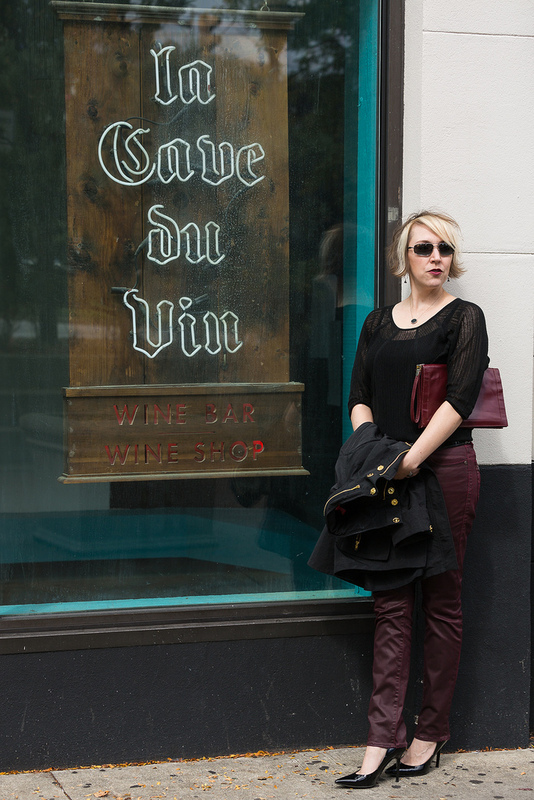 Another watering hole I used to visit frequently is La Cave du Vin. The cozy atmosphere and vast listing of beverages can keep you company for hours. 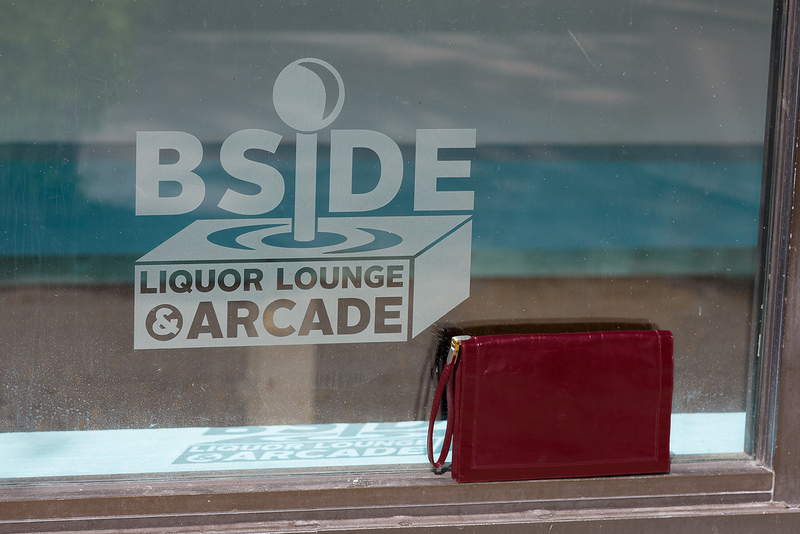 The BSide Liquor Lounge & Arcade, immediately below the Grop Shop, offers a glimpse into the past with a huge array of console video games, too cool! 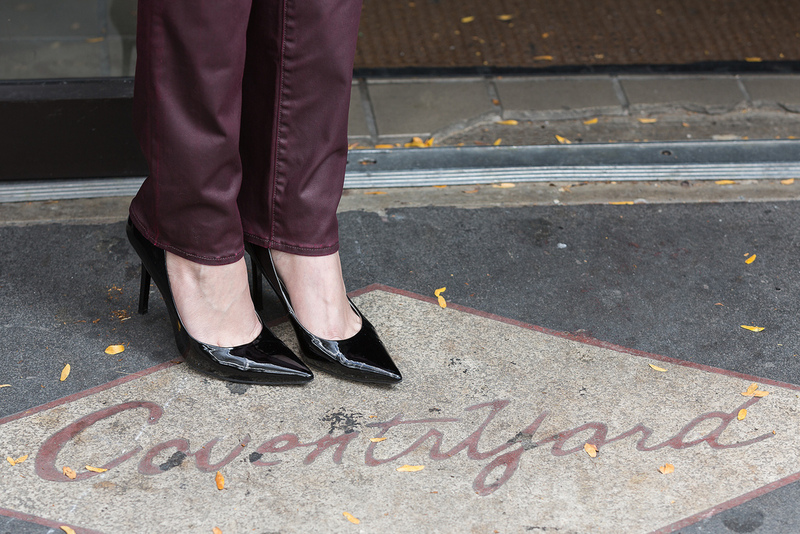 In keeping with the alternative vibe while feeling a little rock ‘n roll I slid into my Rock&Republic Jeans; a fantastic find from last year I picked-up at Kohl’s, if you can believe it! Back in the day had you said faux leather it would have immediately conjured up images of seats in a poor man’s car; nowadays from a quick glance it’s hard to tell what’s real and what’s faux, a trend I’m happy to consume en mass. Wine, maroon, blood red, or whatever you want to call it is still a major color influence this year and is one I plan to exploit. 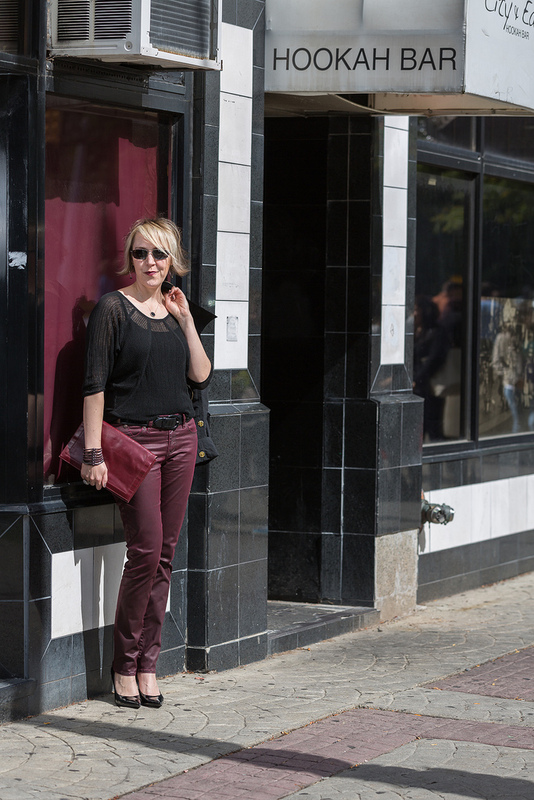 Love the mix of black and burgundy….beautifully styled as always.